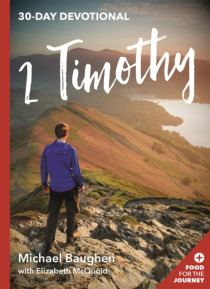 As we spend 30 days in 2 Timothy with Michael Baughen, we focus on Paul's final words.Paul is in prison, near to death, dictating this letter to Luke for his young friend Timothy. As he sits chained to a Roman soldier, Paul's passion for the gospel shines out. He uses his farewell message to urge Timothy to maintain his focus on the fundamentals of the faith.This intensely personal letter allows u… s to hear Paul's last words and ask ourselves about the legacy that we will one day leave to others.